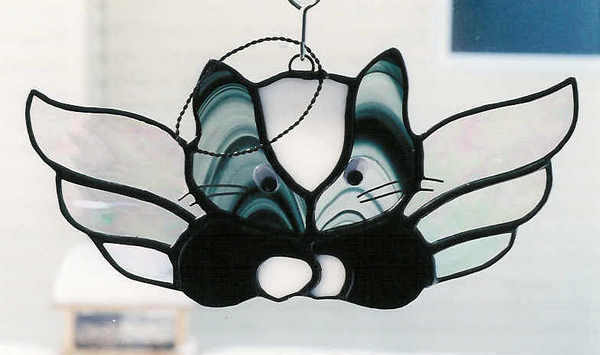 We made this cat angel quite some time ago, with it’s wiggle eyes and halo. Springtime is just around the corner and lots of prairie folks are thinking about their plans for beautiful flower gardens. Of course sunflowers are just what the doctor ordered to brighten the lands. With spring arrival lots of sunflower seeds are planted, which transcend into beautiful sunflowers with their huge seed pods. 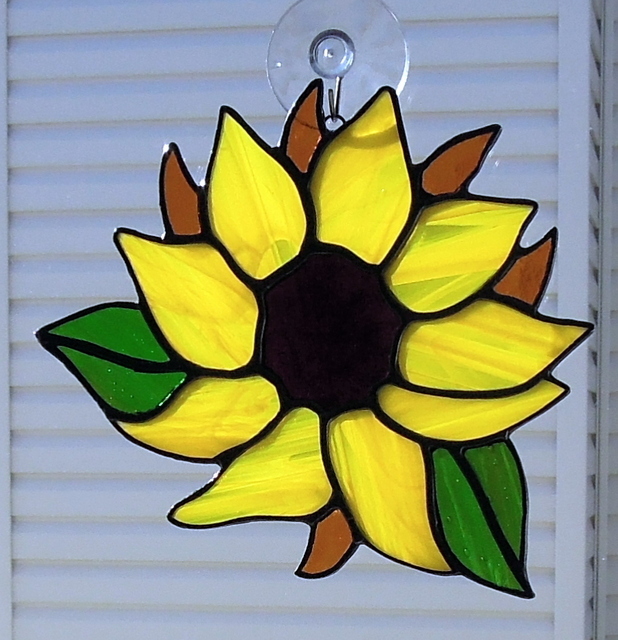 You can enjoy this beauty year round with a stained glass sunflower. This is one we made in March 2016. 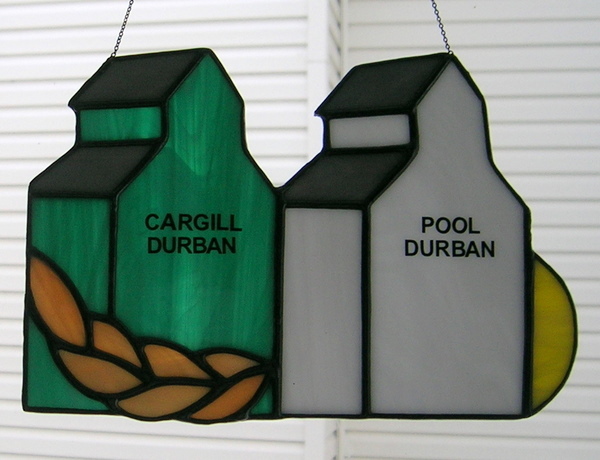 A client wanted joined Cargill and Pool Grain Elevators that were in the town of Durban Manitoba which we believe no longer exists. 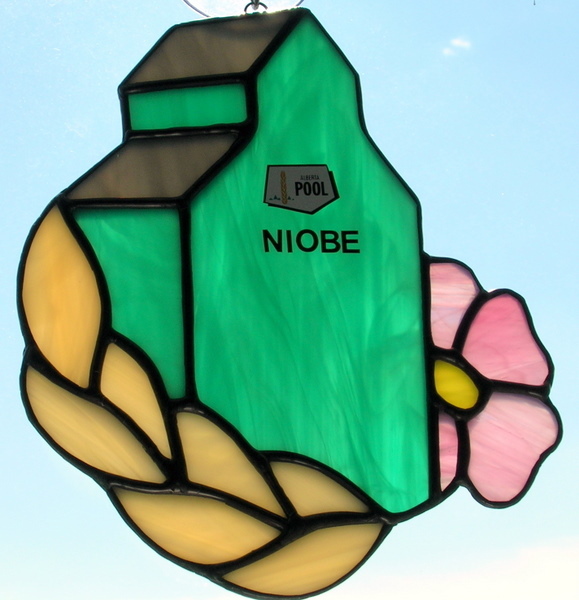 Niobe Alberta is located just north of Innisfail and all that remains is an operating grain elevator. Not long ago a train wreck just south of the elevator could have destroyed it but luck was on it’s side. We were fortunate to obtain the AWP emblems from the Grain Exchange in Calgary which adds authenticity. 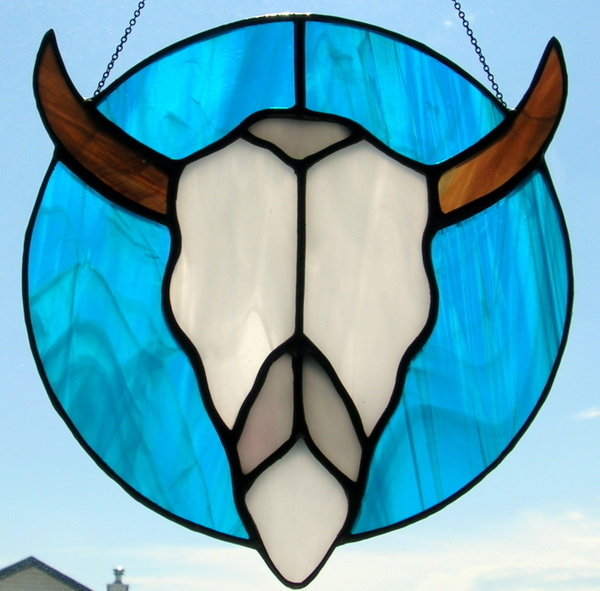 Over the years we have made various western items including this skull.